On 2 August 1990, Saddam Hussein, the leader of Iraq, invaded the neighbouring country of Kuwait. For five months the United Nations talked to Iraq. 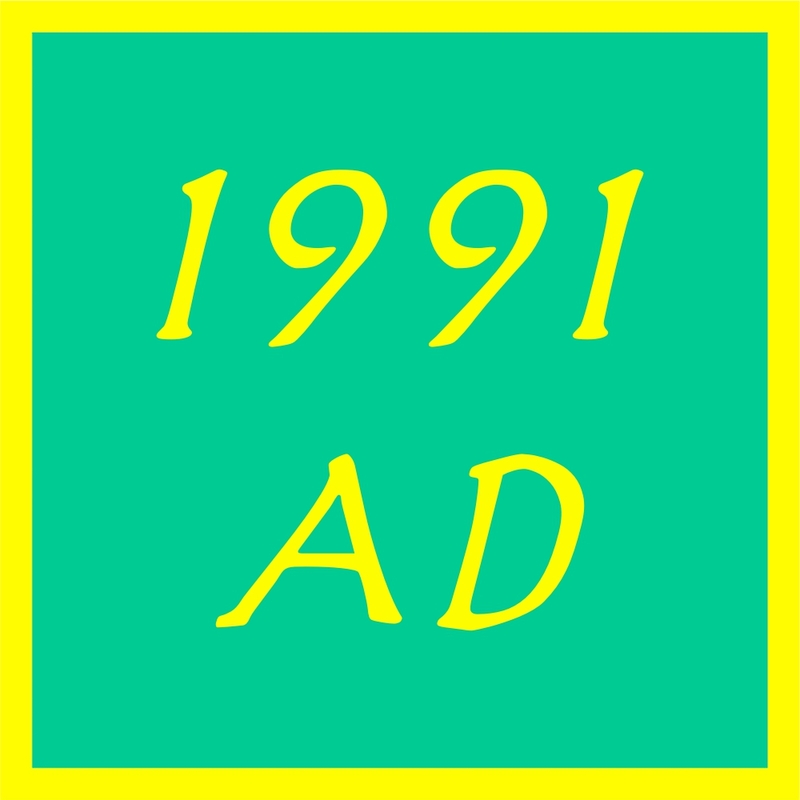 They imposed a deadline of 15 January 1991 for Iraq to withdraw. Nothing happened. On 16 January the US, Britain and mainly Saudi Arabia launched a massive campaign of bombing on targets across Iraq. As usual, in these cases, there were hundreds of civilian casualties. You can see how things happened on the map below. The following day Iraq launched missile attacks against Israel. 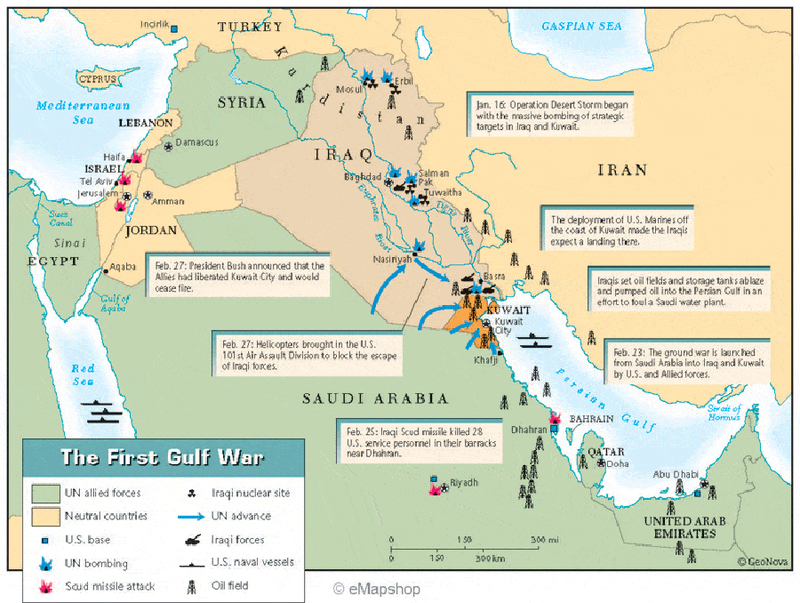 Iraq set out to destroy Kuwait's oil wells, setting fire to some and emptying about 8 million barrels of oil into the Persian Gulf. There were claims and counter-claims on both sides. On Wednesday 13 February, a US stealth bomber dropped a laser-guided bomb on what the allies had pinpointed as an important command and control bunker. But it turned out to be a shelter used by Iraqi civilians during the air raids. At least 315 people were killed, 130 of them children. On Sunday 24 February 1991, allied forces launched a combined land, air and sea assault which overwhelmed the Iraqi army within 100 hours. On 26 February, Iraq announced it was withdrawing its forces from Kuwait, but still refused to accept all the UN resolutions passed against it. British military personnel killed in the war amounted to 47. No one really knows how many Iraqi soldiers died but it is thought to be about 25,000 while the Iraqi government said 2,300 civilians died. After the war economic sanctions were imposed on Iraq which banned the country from importing or exporting anything but food and medicines.